This week the median list price for Incline Village, NV is $1,745,000 with the market action index hovering around 25. This is about the same as last month's market action index of 25. Inventory has held steady at or around 30. Click here to stay informed with the Incline Village market! Never miss important changes in the Incline Village market. This week the median list price for Incline Village, NV 89451 is $1,672,500 with the market action index hovering around 26. This is an increase over last month's market action index of 24. Inventory has held steady at or around 26. Click here to stay informed with the Incline Village market! Home sales have been exceeding new inventory for several weeks. Since this is a Buyer's market prices are not yet moving higher as excess inventory is consumed. However, as the supply and demand trends continue, the market moves into the Seller's zone, and we are likely to see upward pressure on pricing. In the last few weeks we’ve seen prices in this zip code bouncing around this plateau. Look for a persistent down-shift in the Market Action Index before we see prices deviate from these levels. After last week's largest one-week decline in mortgage interest rates in a decade, the Mortgage Bankers Association reported a 39% increase in its Refinance Index on top of a 12% gain the previous week. This brought the index, based on mortgage applications, to its highest point since January 2016. The Purchase Index increased too, but by a comparatively paltry 3%. MBA economist Joel Kan noted that the average size of a refinance loan was the highest in MBA history, $438,900, and noted that it was borrowers with larger loans who were driving the refinancing numbers; they are the most sensitive to falling rates. Conversely, the size of purchase mortgages declined which Kan called a hopeful sign that first-time buyers are increasingly active in the market. Rates held steady this week even though the yield curve "un-inverted." The 10-year T-note yield rose 13 basis points over the last week while the 3-month bill didn't budge from 2.44%, putting 8 basis points between them. It just doesn't seem possible to get all three home sales reports marching to the same drummer--or to get any of them to move in one direction for long. Last week we reported a dynamite sales report for existing homes in February, an 11.8% increase from January and the largest monthly gain in more than three years. This week's new home sales were also higher, although not by nearly as much--and pending sales retreated. The Census Bureau reported new home sales increased by 4.9% from January to a seasonally adjusted 667,000 annual rate. Sales have actually risen for the last four months, but subsequent revisions have largely erased the gains. As a result, the February sales were up only a slight 0.6% from February 2018. Sales were especially strong in the Northeast and Midwest--topping 25% increases in both regions--but rose only 1.8% in the South and didn't budge in the West where new home sales are down 2.9% from last year. There were 340,000 newly constructed homes for sale at the end of February, an estimated 6.1-month supply. This is up from 5.4 months a year earlier. Pending sales lost track of the beat in February. After a solid near 5% increase in January, the National Association of Realtors' Pending Home Sale Index (PHSI) declined 1.0%. This report is always a little fraught because it is a leading indicator, generally predicting sales one to two months down the road. The February number hints that sales at the peak of the spring market may not be as robust as hoped. The PHSI was 4.9% behind the level last February, the 14th straight month of year-over-year declines. The historic Cal Neva Resort & Casino in North Lake Tahoe — the site of many party nights with Frank Sinatra and Judy Garland as well as one suicide attempt by Marilyn Monroe — is going to be reborn, though possibly not under that name, at the hands of Oracle billionaire Larry Ellison. SFist reported on Ellison's purchase of the 13-acre property back in October 2017, which he bought for a reported $38.6 million after developer Criswell Radovan filed for bankruptcy amid a costly renovation. The renovation — which was never finished after workers walked off the job due to non-payment of wages in mid-2016 — was said to have cost $49 million. Now, as the SF Business Times reports, Ellison's team is getting set to submit a proposal for the site which includes possibly demolishing all or most of the existing lodge and casino, and renovating the 10-story, 200-room hotel towerthat was added to the complex in the late 1960s. The team tells the Business Times that they plan to build "a new two-story structure that brings together lodging, restaurants, a casino, conference center, spa and other facilities under one roof." 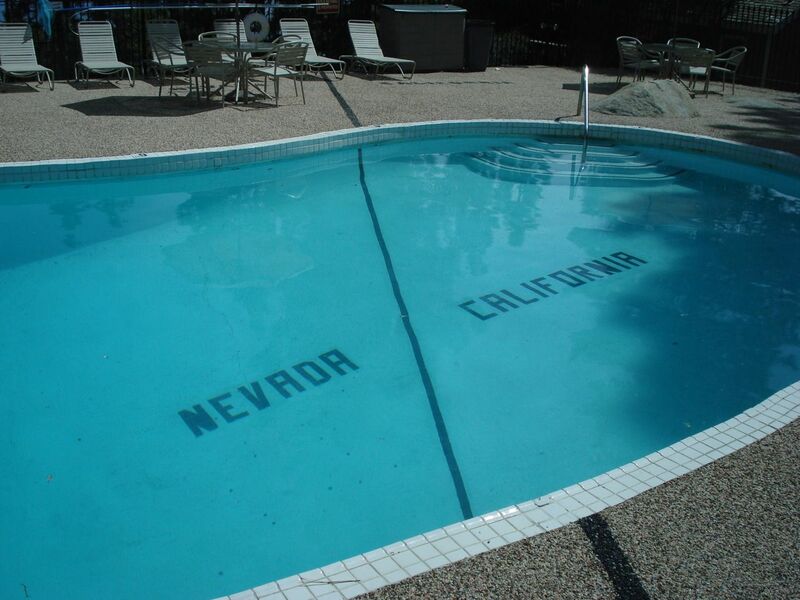 The historic resort, which straddles the state line between California and Nevada, was originally built in 1926, and significantly renovated in the early 1960s by new owners Frank Sinatra, Dean Martin, and Chicago mobster Sam Giancana. Throughout the 60s, per Wikipedia, Sinatra threw lavish parties with the likes of Judy Garland, Liza Minnelli, Kim Novak, Shirley MacLaine, Sammy Davis Jr., Tony Curtis, Janet Leigh, Lucille Ball, and Desi Arnaz. And infamously, Marilyn Monroe was put up there for a weekend in August 1962, one week prior to her death, by Robert Kennedy, and she attempted suicide by taking pills and then called the front desk to tell them. Ellison's team said they plan to commemorate the resort's history through photo displays. This week the median list price for Incline Village, NV is $1,672,500 with the market action index hovering around 25. This is less than last month's market action index of 26. Inventory has held steady at or around 26. Click here to stay informed with the Incline Village market! Not only did the Federal Reserve hold the fed funds rate unchanged at its current 2.25-2.50% range at the Tuesday and Wednesday meeting of its Open Markets Committee (FOMC), but it announced there would probably be no rate hikes at all this year. In its post-meeting statement, the Fed cited slowing economic growth, particularly in household spending and business investment and lowered its forecast for economic growth in 2019 to 2.1%. It had predicted 2.3% growth as recently as December. Data released after the meeting shows that most members of the Committee now expect no rate hikes at all this year, one in 2020, and none again in 2021. Again, a sharp contrast with December when they were predicting two increases this year and one in 2020. While the Fed's move usually impacts short term rates, the New York Timesreported the 10-year Treasury note, the issue most closely tied to mortgage rates, dropped sharply after the Fed announcement. The resulting yield, 2.54%, was the lowest since January 2018. Fed Chairman Jerome H. Powell said he still expects the economy to grow at a solid pace, but since September it has been slowing somewhat more than expected. Even before the Fed announcement, CoreLogic's Ralph Mclaughlin wrote that mediocre construction reports, slowing price increases, disappointing home sales, and an aging economic cycle may be making homeowners and buyers fear that the roof of the housing market might cave in. Not so, he said, at least not pricewise, and provided several reasons why housing still has a bright future--maybe 20 years or more of it. First, housing prices usually fare well even when the overall economy sours. They held up well in three of the last five recessions, dipping slightly by 1.9% in the 1991 recession and then, of course, plunging in 2008. Second, we are in a very different supply environment, with record low inventories, only 15.7 available new and existing units per 1,000 homes, than what existed before the onset of the Great Recession when there was a massive run-up in inventory. This means that prices are unlikely to fall far, if at all, should there be a recession. Add to that the huge backload of non-homeowning young Americans, which presents the potential for 32 million new households to be formed over the next 20 years. Consequently, a lot of housing units will be needed which, Mclaughlin says, should continue to put upward pressure on the housing market until at least 2040. This week the median list price for Incline Village, NV is $1,695,000 with the market action index hovering around 24. This is less than last month's market action index of 26. Inventory has held steady at or around 29. Click here to stay informed with the Incline Village market! This week the median list price for Incline Village, NV is $1,672,500 with the market action index hovering around 24. This is less than last month's market action index of 27. Inventory has held steady at or around 30. Click here to stay informed with the Incline Village market! This week the median list price for Incline Village, NV is $1,745,000 with the market action index hovering around 26. This is about the same as last month's market action index of 26. Inventory has held steady at or around 32. Click here to stay informed with the Incline Village market! Home sales have begun exceeding new inventory. This is a Buyer’s market so prices are not yet moving higher as excess inventory is consumed. If the tightening continues and the market moves into the Seller’s zone, we may see upward pressure on pricing. New-home sales in the U.S. rose 3.7 percent in December, marking the third month of growth, according to the latest residential sales report from the Census Bureau and the Department of Housing and Urban Development (HUD). But while single-family home sales have been rising since the fall, there were still fewer of them than there were a year ago. In total, 621,000 new units were sold in December, a 2.4 percent decline from the year prior (636,000 in December 2017). Courtesy of U.S. Census Bureau. Across the country, the average home sold for $377,000 while the median sales price was $318,600. The increased sales price is just slowly starting to catch up to the shortfall that occurred in mid-2018 — caused, in part, by growing home values and mortgage rates. Regionally, the Midwest saw the steepest decline in the number of sales, with 15.3 percent fewer homes sold in December 2018 than in November. While monthly numbers are often inadequate forecasters of the annual trends ahead, the current numbers show that sales may finally be starting to pick up for the coming spring.